The episode begins at Cherry's fight club, where Nygma sidles up to Lee Tompkins and asks for her help fixing his brain. She says he's got to be truly stupid if he thinks she'd help him after he killed Kristen and framed Jim. Next, we see Oswald and Sofia alone. We learn that they've eaten out together about three nights in a row now. Oswald says he was raised to be a gentleman, but Sofia implies that she wants to define their relationship (which I did not see coming). Gordon watches and listens from around a corner as Penguin agrees to talk the matter over at a private lunch. After he leaves, Gordon insists that he needs to know Sofia's plan because she's only made Penguin stronger since she came to town and threatens to send her on a train back south. She replies that in just a few days, Penguin will be in the palm of her hand if Gordon will just wait. But that's not Gordon's only problem. A man in a butcher's outfit and a pig mask (gee, wonder who that could be) has slaughtered a dirty cop and left him dead and wearing a pig mask. As Gordon examines the scene, Bullock tells him the cop in question delivered bribes for Penguin. So, naturally, Gordon visits Penguin at the Iceberg Lounge. Penguin tells him to make it quick, and Gordon explains that the cop was probably killed as a message to Penguin. He replies that it's "not a very clear message," but asks Dr. Penn to check the license registry. Penn reveals that Wally Clark applied for a burglary permit to rob a butcher. 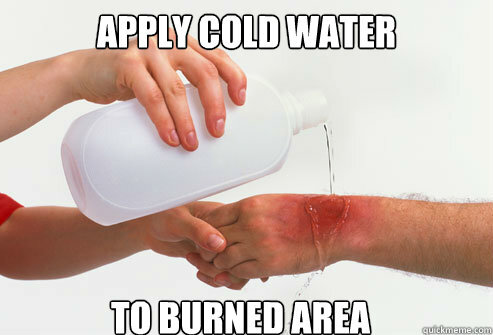 When Gordon thanks him, Penguin replies: "Don't thank me. Thank the licensing system you hate so much!" As the mysterious killer sews a pig mask while listening to Italian opera, Bullock and Gordon interrogate Clark, who reveals that he stole four dead pigs for a buyer, but he doesn't know who the guy was because they communicated over the phone and arranged for a dead drop. Clark calls the client "the Professor" because he "talked fancy." Gordon and Bullock, realizing that the Professor still has three pigs, decide to figure out who the other dirty cops are. In more important matters, the Penguin has gotten stood up by Sofia ("IT'S NOT A DATE!" he insists when Zsasz tells him the date is off). Zsasz tells Penguin she called to cancel and begins to eat her food. Penguin asks Zsasz to follow Sofia to find out what's going on but insists there's nothing romantic going on. 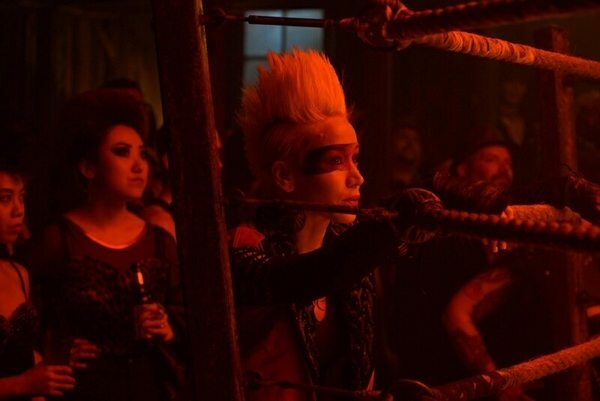 Back at the fight club, Cherry announces a match between Hammer and Grundy, saying that "the last man standing wins, but other than that, anything goes." Initially, Hammer beats up Grundy, until Ed yells at him to fight, and he replies: "Oh, we fight now?" He then proceeds to completely own Hammer and beat him with his own . . . well, hammer. Nygma hugs him and Cherry tells Lee that Grundy is a moneymaker, so she needs to take good care of him. Next, we've got a nice montage of Bullock and Gordon asking cops for names of other dirty cops who could be the next three victims. The first two refuse, as does the third. Bullock tells Gordon they can do it his way, which results in Gordon punching out the cop and locking him in a trunk, which leads to some hilarious banter as they pretend to consider leaving him. Eventually the cop breaks and tells them about a cop, Whitlock, that makes deliveries for Penguin. They go to the courthouse to look for him, but it turns out he's already been killed and arranged in a pig mask along with another dead cop. No one wants to say anything, so Gordon approaches a street musician. The man claims to be blind but manages to catch a set of keys when Gordon throws them. The musician admits that he saw a plumbing van parked nearby for most of the day and that the driver was a white guy. And back at the fight club, Lee examines Grundy, shocked by his altered physiology. Not only has his hand grown back, but his blood has been replaced by swamp water, and his heart no longer beats. She tries to tell him that Nygma isn't his friend, but Grundy refuses to believe it. Ed barges in and agrees that they're the best of friends. After Grundy lives, Ed gloats about the money and tells Lee that the best way to get him to leave is to help fix his brain. He even offers to throw some cash into the deal, but she refuses. Lee tells Cherry that she needs to leave, and Cherry agrees, as long as she returns in time for the matches. And where does Lee go when she's not at the fight club? She runs an unofficial clinic for the homeless. Ed follows her to the clinic and begins to get an idea. Meanwhile, Victor Zsasz (aka the best character on this show) follows Sofia and takes pictures. Over at the GCPD, Bullock tells Gordon that the Professor could be an insider since he knew Whitlock's schedule. Harper lets the two of them know she found a lead on the van, and they decide to follow it up (and tell her to keep it quiet). Back at the fight club, Grundy beats another competitor, and Cherry calls him the champion. The scene then goes to the fight club, where Nygma asks Lee for her help again. She tells him to go to a neurologist, but he insists that she has to be the one to fix him because she knows him personally and what he's capable of (which is exactly why she doesn't want to do it, she tells him). Nygma insists that she has to help him because he knows about the clinic but draws a blank when it comes to developing a good threat, so she just laughs him off. Speaking of threats, Professor Pyg (oh, like you didn't know who it was) proves to be one when he leaves a live cop for Jim and Bullock to find and stuffs a grenade in a slit in the man's stomach. After they accidentally pull out the pin, they run to dodge the blast and get knocked out. Gordon wakes up tied to a chair. Pyg is happy to meet him, insisting that he's a fan of Gordon. Gordon asks if he's a cop, but Pyg laughs the notion off, although he admits that the two of them are similar in their crusades against corruption. Gordon points out that killing a few dirty cops won't change anything, and Pyg agrees—which is why he's going to kill every cop on Penugin's payroll. As he gleefully compares the process to making sausage, Gordon has an interesting response: “You’re not doing this for Gotham, you’re doing it for your own demented reasons.” I wonder, perhaps, if this statement will come back to condemn Gordon. Is he truly trying to save Gotham out of altruism, or does he also have his own twisted reasons for it? Pyg insists that he's suffered loss due to Gotham's corruption. Gordon offers to help him set it right, but Pyg leaves, promising they'll meet again. Gordon, who can hear Bullock beg for mercy from Pyg, scoots his chair over to the edge of the ledge he's next to until he falls over the edge. Once he recovers, he saves Bullock, but not before Pyg slices enough of Bullock's neck to put him in the hospital. Penguin confronts Sofia. She says the cancellation was unavoidable and tries to leave. He asks where she's going and she replies that it's a surprise. He lashes out, accusing her of scheming against him, saying: “Your father’s blood definitely runs through your veins, but not for long!” He then decides to see what she's done with the hotel. And surprise! Lee accepts Ed's deal and takes his money just like that (but only because she needs it to get more antibiotics for her clinic). She explains that she couldn't leave Gotham because the Tetch virus devastated the Narrows and she feels the need to help after she stopped Gordon from preventing the outbreak. This is actually a great motivation. I'm happy to see that Lee isn't just working at the fight club because the characters wanted to make her even edgier. She's doing it to make money to help the clinic. And think about it—outside of the underworld, who's going to hire Lee after she went crazy and buried someone alive? Lee also takes the time to tell Ed that he should've threatened to take Grundy away from the fight club, which would've put pressure on Cherry to make Lee work with him. She tells him to visit the clinic later so she can start working on fixing his mind. At the hotel, Sofia tells Penguin that she forgives him in advance. Why? A bunch of children come streaming out of the building, which turns out to be a new orphanage Sofia created. She says she wanted to show it to Penguin once it was finished, and tells him that while she understands his need to protect himself, his fear of being betrayed could make him end up alone, like her father. He apologizes and they decide to make it up over mac 'n' cheese. Sorry, Nygmobblepot shippers, this ship is quickly worming its way into my heart. But sadly, not every relationship in the show is quite that happy. As Gordon talks to Bullock in the hospital, he calls him out for taking money from Penguin (which he assumes is why Pyg targeted him). Bullock confesses that the commissioner ordered him to comply and that he used the money to pay his bills and debts. 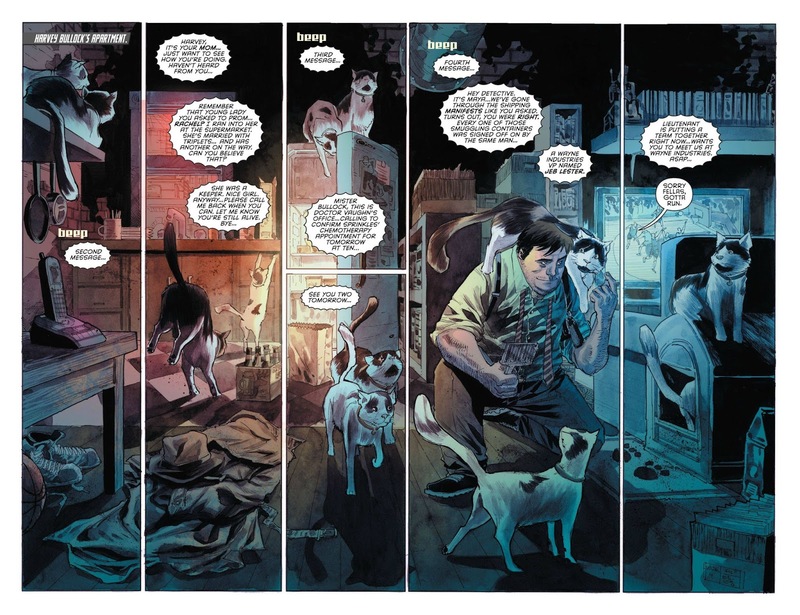 I would also like to point at that, if the New 52 is anything to go by, Harvey has several cats to feed. Think of the cats, Jim! Gordon tells him it has to stop, and after he leaves the hospital room, he notices a newscast calling the new villain "Professor Pyg." And what's Pyg doing? Herding piglets and reciting creepy rhymes over them. Because, ya know, aesthetic. All in all, the episode was a lot better than I'd expected. I've never been quite sure what to make of Professor Pyg, but I think this incarnation is an appropriate mix of creepy and corny. I also enjoyed the dynamics between Lee and Nygma and especially Sofia and Penguin. Still, it'll be nice to see more of Babs, Tabs, Selina, and Bruce in next week's episode. Got any thoughts on this week's episode or its main villain? Comment below.